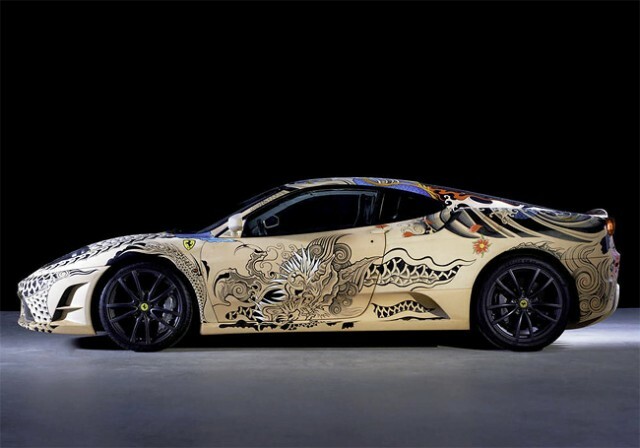 Their would be hardly any racing car enthusiast that would not heard the name of the Ferrari series of cars. 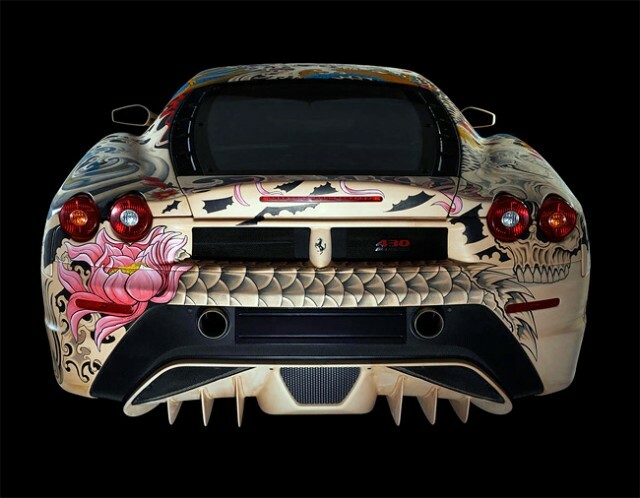 Manufactured by italian car maker Ferrari, this series is specially characterised by its powerful engine and high speed. 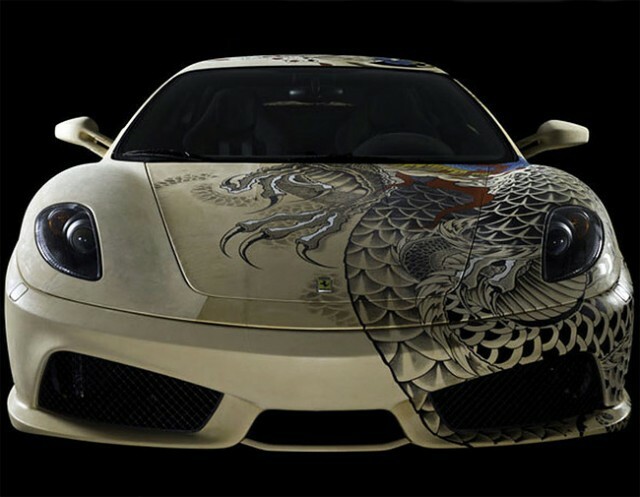 Ferrari 430 is a sports car that was commercially produced between 2004 to 2009. 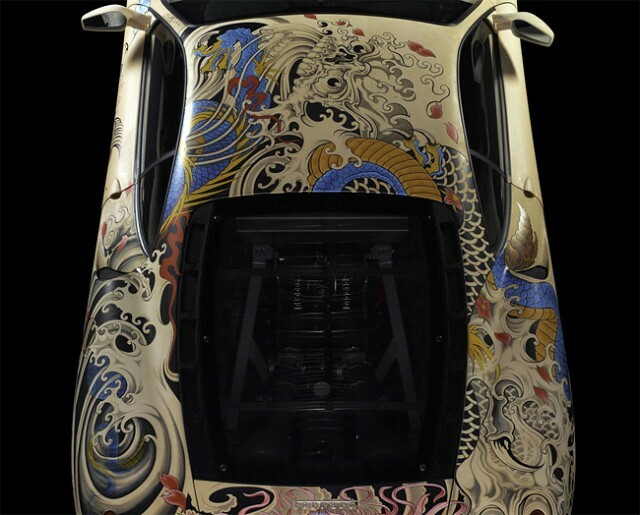 Being an expensive car, its rich owners often want to customize it according to their taste. 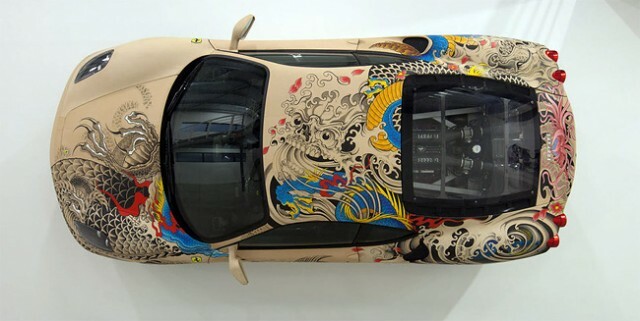 Here, we see a unique case where a French artist Philippe Pasqua unveiled a Ferrari F430 whose body was covered with tattoos with a beautiful colour scheme. 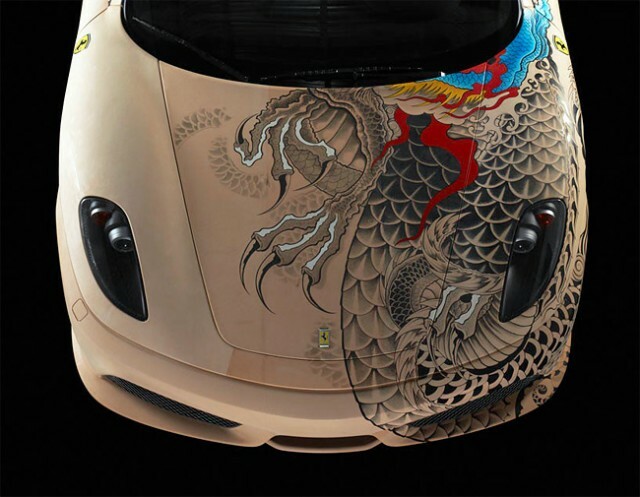 Earlier we had written an article on a Ferrari covered with leather , however, we bet that you would not have seen a tattooed Ferrari. 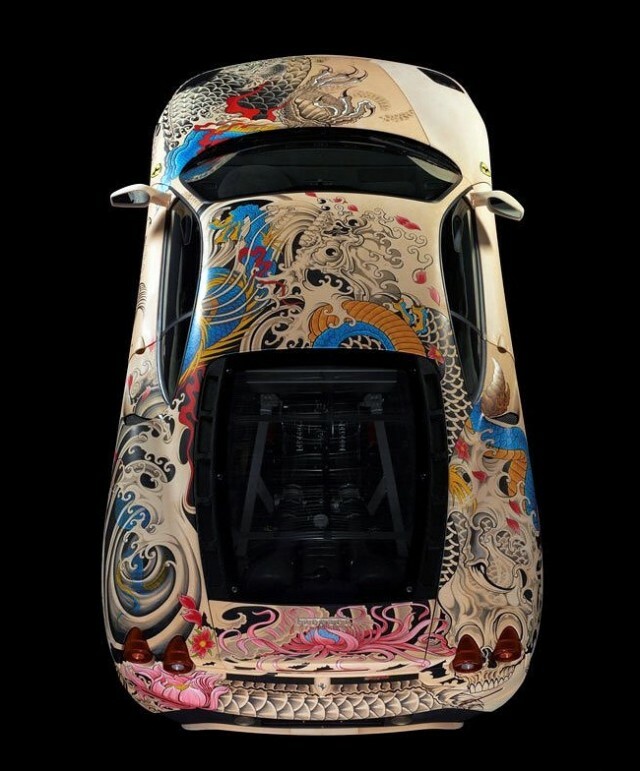 So we present some of the beautiful photos of this awe-inspiring Ferrari clad in beautiful colours. The colours of this Ferrari are truly unique. 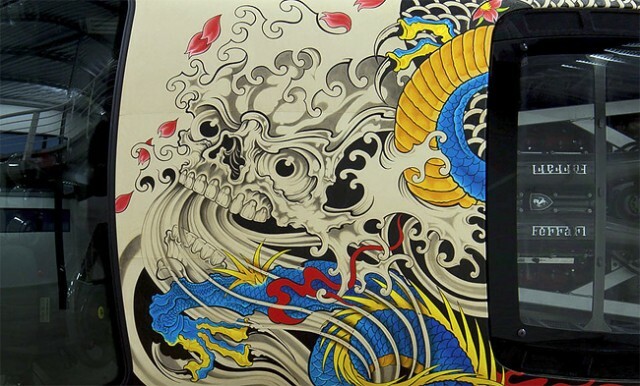 Would you also like to have your car tattooed like this?